I think it was my friend Betsy the Bargain Fiend who first introduced me to kohls.com, sponsor of this giveaway. For three years now, I've been doing almost all of the the kids' back-to-school and spring clothes shopping there. I love it not just because I can shop at 11:30 p.m., but because the clothes are totally cute and good quality. There's always some sort of sale going on, and free standard shipping with a $75 purchase. Browsing is easy—you can search by type of clothes, size, brand, occasion, color, price and trend. Max likes the site because he got his Cars 2 underwear fix there, except he's grown out of them. Tragic, I know. Sabrina's new favorite sport is shopping. She is always finding stuff she wants to get online, and showing it to me on her computer screen. So she loved sitting down together to pick out some new fall stuff. Max, being a boy (and being a boy who only cares about Cars 2 merchandise) is glad to let me be his personal shopper. Happily, the purple obsession has died down which has vastly expanded our gear repertoire. Check out the kids' picks, then enter to win a $100 gift card. 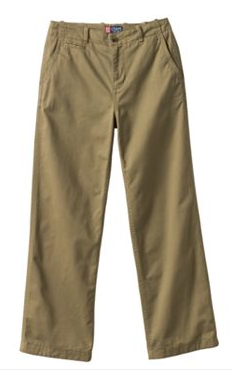 A boy's gotta have khakis. 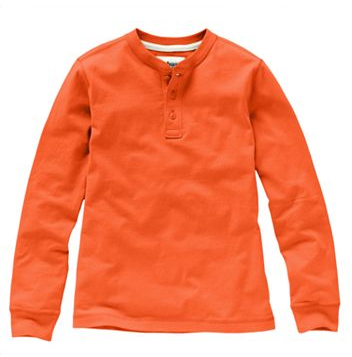 I got this for Max in four colors—it's sturdy cotton and studly. "I'm going to be a chick magnet in this!" Not from the fall line, but timelessly appealing. "I'm wearing this on the first day of school! And everyone's gonna like it!" "I love jeans and I like them in my jacket!" "I thought about getting the purple one but I think Max might want to wear it even though he's not that into purple anymore but who knows! Orange is good cause I won't have to hide it!" "Mommy said to get this because she says it is a good reminder so next time I am acting angry I can just look down at my chest." Leave a comment below about what you're loving on kohls.com for your kid, or just what kind of clothes your kid most needs for fall. You can get additional extra entries with Twitter and Facebook follows. The giveaway ends on August 22 at 12:00 a.m. (see "Terms and Conditions" for more information). The gift card can be used online or in stores. Good luck! Disclosure: I received compensation for the post, but the opinions and shopping love are all mine. Love shopping at Kohl's!! We have two kiddos with special needs, and it definitely saves us money. Both boys need new pjs,socks and we gotta get some Cars underpants (wouldn't you know it???). Thank you for the giveaway! My daughter is starting preschool soon so she definitely needs a cute Fall wardrobe. Jumping Beans brand fit her well. I love that Kohl's always has sales. Hope I win! We need shirts and lots of them since my son chews, chews, chews! When we're not fast enough to attach his chewies, we'll find holes in his shirts and have to toss them! We love Kohl's! Addison needs new pants because she blows through the knees so quickly. Noah's pants are suddenly 2 inches too short, but luckily we can wear shorts here for another couple of months! I like the SO Neon Butterfly dress for my daughter, and my son could use new jeans. 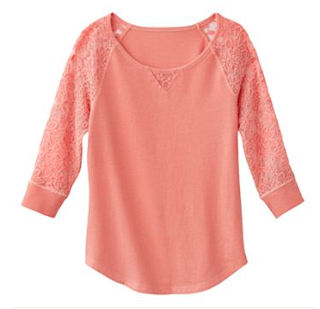 I love looking at the cute tops or hoodies that Kohl's sells. 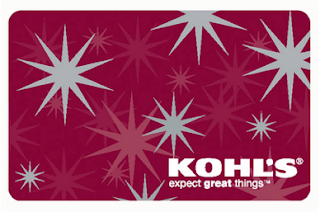 Love kohls and kohls.com for ease in returning. Need to focus on pants for school for all three kids! I love Kohls Jumping Beans line! We love Kohls... Thanks for hosting the giveaway! 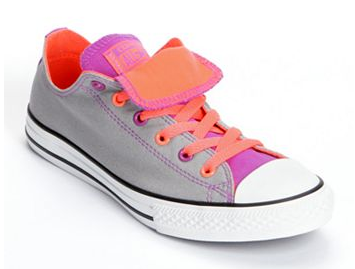 We love the converse all star sneakers because they look "cool" while being flexible enough to fit over foot braces without buying them sizes too big. I love Kohl's too!!! What Stephen (6.5) really needs for school (which starts in 1.5 weeks!) are elastic waist, i.e. no buttons/snaps/zippers, pants and jeans. They are hard to find. Love pants with elastic waists so I am hoping to find lots of those for both my preschoolers! Thanks for the giveaway Ellen! Love the urban pipe line tees! I like the Jumping Beans Solid Fleece Pants for girls and the SO "Attitude" Crop Tee & Tank Set for girls. The only pants Penny will wear are the jumping bean pants (not leggings) from Kohls. I call them "The Penny Pant." 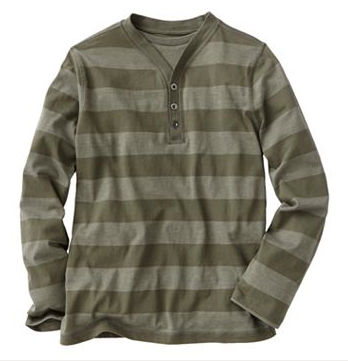 I love the fake Henley. It'll be perfect for my son starting Kindergarten! My son needs new jeans! All of his jeans have holes in the knees! Those shoes look awesome. Do they come in wide sizes? I love using Kohls to shop for Adopt a Kid for Back to School. A local program that helps get gear for kiddos that wouldn't have something special for the beginning of the year. I love their prices on running shoes. We can never have enough shoes! 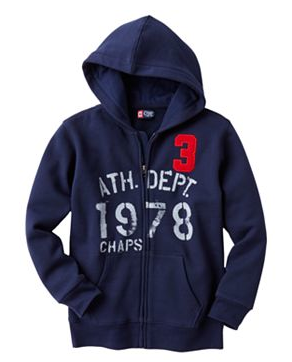 My little guy needs a new wardrobe for Kindergarten and I''ve already started my shopping at Kohl's! Love the Chaps clothing! The cute dresses and outfits for toddlers! my 3,almost 4 year old just hit a growth spurt and he's gotten too long for his pants from a few months ago. His shoes are also getting small and he would love nothing more than a new pair of chucks! We need some more jeans for this fall! We need some new shoes and Kohl's always has great PJ and underwear choices! love love LOVE Kohls. My son could use some durable shirts and pants, warm pjs for cooler weather, and a nice button down or two. My son needs shoes for the fall/winter and my daughter needs warm PJs! White polos are in need. I've never thought about buying from Kohl's online. Weird! I think the dino bones pj set would be great. But honestly, shoes too. We need shoes! 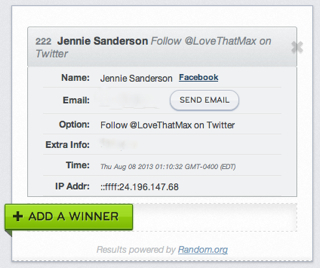 Lynn W. on rafflecopter (middle name probs). Hah. My boys need pants, they are growing so tall! The Jumping beans and Sonoma brands are great at Kohls. We need jeans desperately, because last year's all look a little too capri-like for comfort. :) Plus, I think we're about to jump shoe sizes. I love Kohls. My son and husband get a huge portion of their clothes there. My daughter is a neon-Justice kind of gal. My son needs some fall clothes for back to school some elastic waist pants or jeans and hooded sweat shirt with a zipper. I <3 Kohl's. I have found that he wears Jumping Beans brand and it's affordable. My 3 kids all need new undies and socks for back to school. Max is going to be so handsome in that striped shirt! I am still working on Matt's school clothes and its a little harder since he just got his PEG tube and seems to lost weight and none of the stuff I bought fits. This would be a huge help! Frankly I have come to do most of our clothes shopping at Goodwill... however... I am a huge fan of shopping Kohls' clearance racks. I've been doing it ever since I was a kid. We come out of there with some sweet deals for the whole family! I've been shopping there since they were born, I actually cried in Kohl's last summer when I realized I had to cross the aisle to the "bigger kid" section to shop for them! LOL. With two girls, I am not sure they ever have enough clothes! 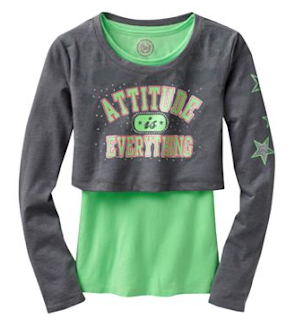 :)My 7yr old fashionista is a sporty girl and loves to dress that way! And with her sister having ccap and having lots of therapies, she needs lots of comfy exercising clothes! Kohls has such a great variety, and who doesn't love their shoe dept!! :) good luck everyone! They need some sweaters and pants for fall. Little girls leggings and tunics and shoes of course! I'm loving the Knitworks colorful lace pieces for my twin girls! Good picks Max!! I am always able to find cute clothes at Kohl's that actually fit my special girl. I love the Chaps Pleated School Uniform Jumper - Girls 7-16 from their kids section! My little man needs an entire new wardrobe (today is his first birthday!) for the fall - he grew up so quickly, and nothing from the past year fits him. Being a single mom is really tough when it comes to affording clothes and diapers, and Kohls prices are great when I am trying to keep to a budget! My son really needs some new jeans that actually stay around his tiny waist! I love those cons too Sabrina!!!! My almost 3 year old is still loving the purple. I look forward to this phase being over :) I love our local Kohl's! My son starts kinder this month and needs lots of pants, he grows so fast! Although I've never shopped at kohls online, I love shopping for my kiddos at the local store here in MN. Always great selections and super deals!! Both my boys need pants, desperately. They have grown during the summer and also each pair has a hole in one or both knees. My boys need jeans and jeans shorts for the fall, as they have all of their uniform tops already. Kohl's is GREAT. My girls are older now, but we have always been a fan of the store. This year, they are hitting Kohl's for new sneakers (Chuck Taylor's are de rigeur), Levi's, and athletic wear (aka -- I don't feel like making an effort to get dressed for school). Kohl's is awesome. They're the only place that we've found shoes that are wide enough to fit my son's feet. Also. Ellen, I have to ask. Are you gonna be really mad if we copy you and get the Ninja shirt for Tucker because I LOVE IT! EEEP! It should be DRESS CODE for our kids! Get that shirt for Tucker! My girls desperately need new pants! I am loving the orange shirt Sabrina picked out. I want one for me. My kids need jeans but they are so hard to fit. One is thin and tall and theother is not thin and short. So hard to get pants that fit unless they are elastic and look dumpy. Thanks for the opportunity to win!! i really need to get my kids some new shoes, and pants- they grow out of them so quickly and we like shopping at kohls- they always have good deals. My kids will need new shoes, shirts and blue jeans! I really Like shopping at Kohls for My Grand-kids.. They have such a Great selection of Fall Clothes right Now! I love that Kohls had black & green tennis shoes that my little guys swears up and down are Ben 10 and make him run faster! I have a little guy, so I am loving the Chaps button down shirt in 2T. So much cute stuff! My son needs lots of everything! He's had a major growth spurt this summer.. seems like nothing fits! Hope I win!! Earlier this week, I placed an online order for Kohl's. It is so convenient. I get most of my daughter's stylish clothes at Kohl's! My daughter needs lots of pants and long sleeve shirts! Jeans and shoes - always! I love the Jumping Beans line and... THE CLEARANCE RACKS!!! I try to stay a season ahead for my little man by shopping the end-of-season clearance racks at Kohl's for the basics. Kohls is so easy for my family (my LARGE family) and they always have coupons that are ready to use and in season. Especially around Back to School time. Kohls is the only store I shop t! 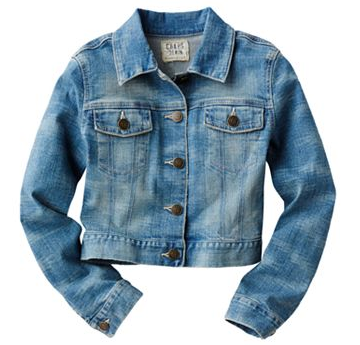 the kids need new jeans, jackets, sweaters & shoes for the fall! My daughter is in dire need of some new jeans! My kids need sock's, underwear and sweater's! We needs jeans and shoes! I'm loving the Dyson DC41 Animal Complete Vacuum. I have four little girls, and this would help so much! They all need shoes! Thank you for this chance! I could not imagine winning! I am living in India right now fostering 7 kids with special needs (www.onetinystarfish.blogspot.com) With 7 kids, we go through clothes fast!! More girls dresses would be great! The ones on the website are so cute, I love the SO Floral dress and the My Michelle Floral Eyelet Dress. My kiddos need shoes of every kind! It's the one thing that I can't find at a thrift store because most of the time they are well-worn. Some staple pieces like socks and underwear. We can never have enough jeans! My grand-daughters need just about everything. They moved this summer from a school where they wore uniforms to a new school--they now have to have regular school clothes. They need jeans and shoes the most. Our family loves Kohls and with a 5yr old that is as tall as an 8yr once again we need to get some jeans that fit and of course some tops to go with them! My kids need school uniforms! I have always found shopping at either a Kohl's store on online at their website to be a very pleasant experience. Plus, they have good quality clothing at reasonable prices. Right now I could use some leggings and some nice long sleeve tops for my daughter. love the bright colors. I love buying jeans for my daughter for back to school. Oh I really love the Tony Hawk® Dinosaur Hooded Fleece ! That is so cute for fall! Carter would look adorable in that! i love the cute graphic tees they sell! We love Kohls! So affordable! 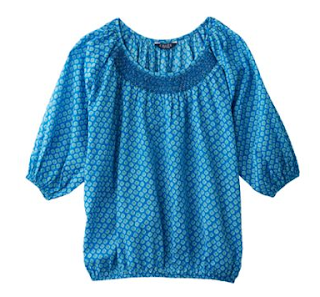 They make clothes that are good for kids that are sensitive to how the clothes feel. My kiddos need an overhaul... Keegan especially needs some sturdy tennis shoes that will fit over his AFOs! I also love when Khol's has super discounts plus Kohl's cash!!! My daughter needs a dress up outfit and a jacket! we mostly need shirts, since they get dirty so quickly! My daughter is only a year old but she holds up different clothes and babbles something while looking at it. If she babbles for a particularly long time I will buy because she liked it . I think. Khols is awesome because I don't feel judged by the employees as I let my daughter lay waste to the kids section. Then we pick up the mess and she chats as she is hanging. Love the Converse. My kids need shoes, they always need shoes. My son needs tennis shoes, pants (non-buttoning ones), long sleeve shirts and socks. He had a sudden growth spurt from size 24 months to 3T within a matter of 2 months, we don't have anything for him for cooler months. 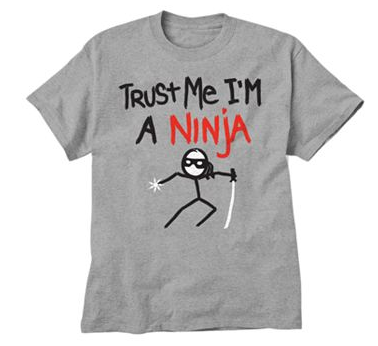 I love their selection of graphic t-shirts, but what my kids need the most are jeans. Bottoms - skirts, skorts, leggings! I like Sonoma life + style and Jumping Beans for my girls! My kids need jeans. My daughter grew an inch in a month and my son puts the knees out of his jeans. My son needs more jeans that fit him properly in his chair. This would be awesome. Sneaking in at the last minute! We need everything, she's growing like a weed right now :) And since she's messy, we'll need extra clothes to keep at school, too. Oh goodness, if I look for specific picks I'll just frustrate myself, I think! But, what Ash most needs for the autumn are blue jeans, black cords, warm PJs, new socks, new sneakers, at least one more flannel plaid button down sort of deal, and a couple more long-sleeved undershirts good for layering. That's not much, right?